On a recent trip to visit Black Dyke Band in Yorkshire, Vice-President Iwan Fox was delighted to accept a commemorative presentation metronome from their Director of Music Prof Nicholas Childs. However, it did not mark the successes he enjoyed with Tredegar during his tenure as Musical Director between 1993 and 1997, but that of his father, John, who was Musical Director from 1970 to 1978. The presentation was made in 1974 to mark the ‘outstanding achievements’ in leading the Town Band to their first ever Champion Band of Wales title, as well as being the driving force behind the success of the Tredegar Junior Band, which won their first Butlins National Youth Championship of Great Britain title at the Royal Albert Hall under the baton of conductor Tudor Williams. It was made all the more remarkable as during 1974 John Childs was recovering from a serious road accident which meant that he didn’t conduct the band at that year’s Welsh Regional Championship. “The whole of the family is thrilled to hear about Tredegar’s Heritage project and the ongoing work being done to recognise the contribution made by my father to the band’s success,” Prof Childs said. 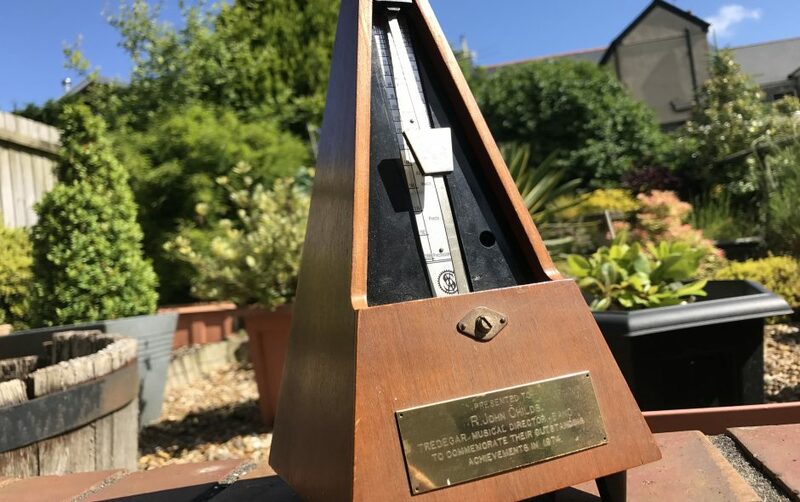 Over the next few months the metronome will be catalogued, curated and presented on show with a special QR coding to enable people to find out more about John Childs and his achievements through the Heritage Lottery Project page on the Tredegar website. Tredegar Town Band’s on-line multi-media resource interpreting the social, cultural and musical achievements over 170 years is supported by the Heritage Lottery Fund.